Gianluigi Trovesi (born 1944) is an Italian jazz saxophonist, clarinetist, and composer. A native of Nembro near Bergamo in Lombardy, he studied harmony and counterpoint under Vittorio Fellegara. Since then he has been a major player in the Italian and European free jazz scene. He also teaches clarinet and saxophone in Italy. He has won various Italian jazz awards. 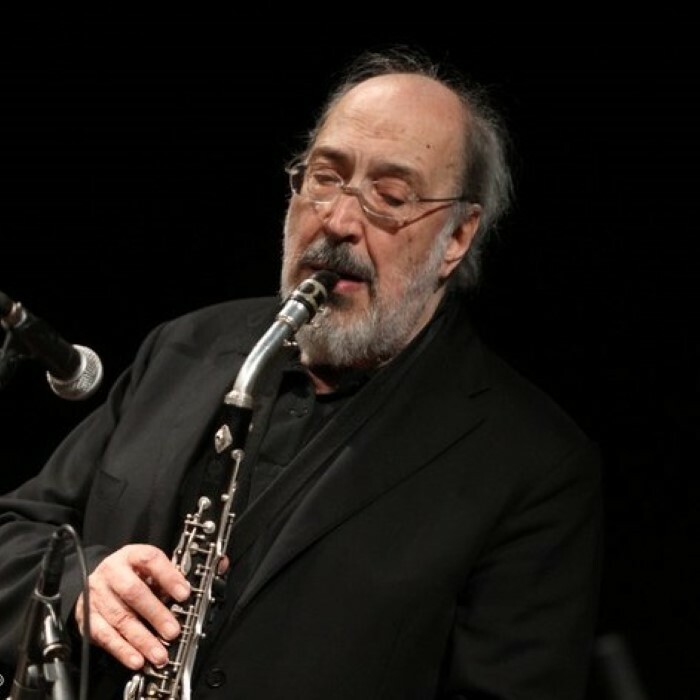 In 1978 Trovesi won the first prize in the Italian jazz competition for saxophone and clarinet, landing a permanent job in the Milan Radio Big Band (until 1993). After a concert in Bergamo with Giorgio Gaslini's Sextet, European producer Joachim-Ernst Berendt invited him to the Clarinet Summit an all-star group with clarinet soloists John Carter, Perry Robinson, Theo Jörgensmann, and Ernst-Ludwig Petrowsky. In the 1990s he formed an octet with Pino Minafra on trumpet. The group's first album (From G to G, 1992) won the Italian Top Jazz poll and five stars in Down Beat magazine. The octet's Les Hommes Armès (1996) was voted Best Record of the Year and the Trovesi Octet best Italian Jazz Group in the Musica Jazz Italian Top Jazz Poll (1993, 1996; Trovesi already won in 1988 as best musician). Those records are characterized by the meeting of the learned classical and contemporary music, from Renaissance music to serialism, and the Italian folk, in a context of jazz improvisation. In 1999 Trovesi composed "Round About A Midsummer's Dream", a suite whose inspiration comes from Shakespeare's mention of the "Bergamasque" dance. The music is performed by a nonet based on three trios: a jazz trio with sax, bass and drums, a classical string trio, and a folk trio with accordion and tamburello. Trovesi has toured, recorded and performed with Anthony Braxton, Misha Mengelberg, Horace Tapscott, Steve Lacy, Evan Parker, Kenny Wheeler, Manfred Schoof, Mark Dresser, Han Bennink, Barre Phillips, Tony Oxley, and Günter Sommer. Trovesi is a member of the Italian Instabile Orchestra and performs in a duo with accordionist Gianni Coscia.